The results of the 2017 NPR Music Jazz Critics Poll, as usual conducted by Francis Davis, were posted on the 20th of December. The winner in what I thought would be a close race from a year with so much great jazz, but no clear consensus recording, turned out to be Vijay Iyer Sextet's Far From Over in something of a landslide. Further proof that Iyer is cementing a place as a universally respected artist. 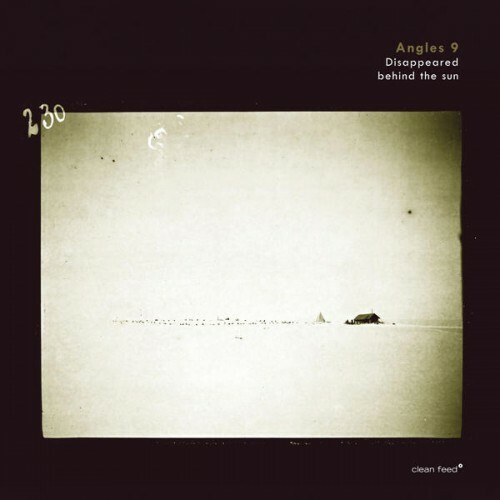 It was one of several excellent albums from what turned out to be a terrific year for jazz in the running for place on my ballot, losing out in the very last minute. Which is to say, on any other day it might have been included, as could a handful of others. For me as I'm sure for many others, it makes little sense to set a top 10 in stone. Heck, a top 10 itself doesn't really make all that much sense. By the end of a given year, my fave list usually consists of a few -- most often three or four, sometimes less rarely more -- releases that have engaged, enthralled and moved me profoundly in ways that set them apart from all the other great music I might have heard that particular year. After that, there's a selection from a further pile of terrific albums that float in the zone just below. Picking the remaining releases from that stack to create a top 10 is a rather off the cuff exercise, the results depending on several, seemingly haphazard things such as day form, how recently I've heard a particular recording, and so on and so forth. In any case, my ballot for the 2017 Jazz Critics Poll can be accessed via this link (more specifically on this page: scroll down or do a page search). But for my personal run down of my favorite jazz albums of the year, I'll instead go with the format I have used in recent years, and separate them into a three categories that makes more sense to me. Happy listening, and Happy Holidays! 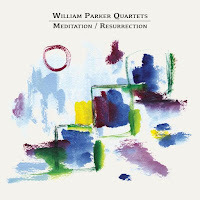 William Parker Quartets: Meditation / Resurrection (AUM Fidelity) [reviewed for Musikkmagasinet/Klassekampen July 3., 2017] -- The New York eminence has achieved similar artistic heights previously, but the juxtaposition of his two celebrated quartets -- one groove focused and bop-tinged, the other more abstract and experimental, with Parker and drummer Hamid Drake's distinctive rhythmic interplay the beating heart of both -- mirrors two sides of Parker's qualities as composer, band leader and musician, providing a rich picture of a remarkable artist in the process. Few if any create avant-jazz this warm, engaging, energetic, burning and soulful as Willim Parker does. 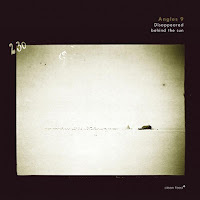 Angles 9: Disappeared Behind the Sun (Clean Feed) [reviewed for Musikkmagasinet/Klassekampen, Febrary 27., 2017] -- Angles 9 come at you as a boisterous, mini big band, with poignant melodies, similarly captivating rhythms and deceptively unruly music that mines the tension between sorrow and joy, with winning results. 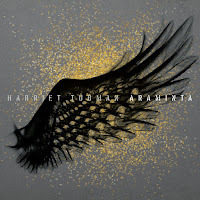 Harriet Tubman (feat. Wadada Leo Smith): Araminta (Sunnyside Records) [reviewed for Musikkmagasinet/Klassekampen, March 6., 2017] -- Araminta is a onse the most unsettling yet uplifting and powerful collection of music Harriet Tubman have made yet, and one of this year's most gripping listening experiences.